At Veterinary Village, our approach to canine veterinary medicine revolves around a comprehensive, competent and compassionate care program, aimed at ensuring the highest quality of life for your dog. Perhaps the greatest measure of our success is found in our many happy patients and kind words from our clients. We value the long term relationship we have with many of our clients. Through good communication and trust, we have built so many great relationships with our clients which allow us to partner with our clients to provide the best care for their dog. 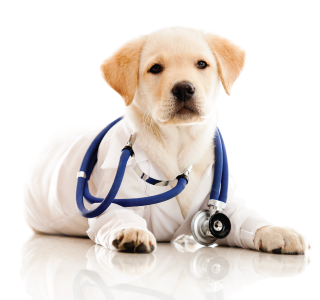 Veterinary Village offers preventative health care as well as advanced diagnostic and surgical services. Our commitment to quality service has led our dog care clinic to become well known and respected throughout the veterinary industry. Some of these stages can vary in length depending on the breed of dog. The very large and giant breeds tend to live shorter lives and are considered senior or geriatric at 9+ years. The smaller and toy breeds live much longer lives and can very easily live to 15+ years. Naturally, as a dog grows and progresses through life, it will undergo physiological changes and face a variety of life events that will require care and attention. From puppy care to geriatric dog medicine, consistent preventive care can make all the difference in the quality of life of your dog. Ultimately your dog's health will impact your relationship with them. At Veterinary Village you will find that our veterinarians and staff place an emphasis on the importance of proper nutrition for all phases of your dog's life. Whether your dog is a puppy, adolescent, adult or senior, each stage of a dog's life comes with some special nutritional considerations. We can also help create a custom dog nutrition program taking into consideration things like breed, age, size, physical fitness, allergies, and medical conditions. As with humans, proper dog nutrition can be both preventive and sometimes curative, as a balanced diet is essential for both supporting and maintaining optimal health. Of course, your dog cannot choose his or her own diet, and therefore the burden of making good health choices is on you. Understanding the nutritional needs of your dog is an important part of your responsibility to ensure they lead a healthy and happy life for many years to come. At Veterinary Village we understand that a dog veterinarian is only as good as his or her ability to successfully prevent, diagnose and treat whatever ailment a dog may be facing. Equally as important is our ability to listen and communicate well with owners to make sure they understand their dog's health concerns and how to make the best choices for their dog. This is why our dog hospital is capable of handling any procedure including preventive care, medical diagnosis, and surgery. Typically dogs don't RSVP for a veterinary emergency. Therefore, our dog care clinic keeps extended hours. If you need veterinary care after 8:00pm Monday-Thursday or after 6:00pm Friday-Sunday, please still call us at (920) 269-4072 as our answering service is staffed by a Certified Vet Tech or a Veterinarian and can help you decide if you need to go to a 24-hour emergency clinic. Scheduling an appointment with one of our dog vets is as easy as picking up the phone, or sending us an email. Our staff is here to help make your trip to the vet as easy as possible for you, and enjoyable for your canine companion.